This beautiful scenery was seen on a small pond near Beaver Creek, Yukon. Although the sun is setting here during the summer nights, it never gets real dark and leaves the landscape bathed in a beautiful light. 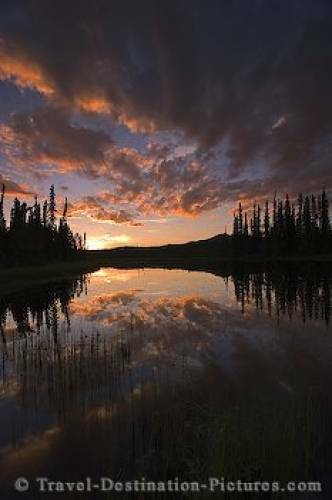 pond in the Yukon Territory, Canada.